This tea is grown from the Shui Xian cultivar, typically used for Oolongs. 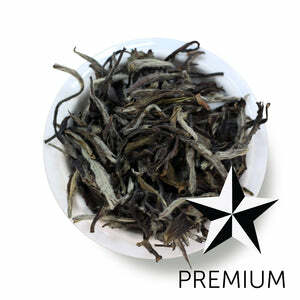 This very rare lot of tea uses the same cultivar, but is processed as a white tea. 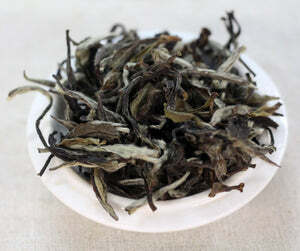 It has similarities to a White Peony, but has more depth of flavor and a long lasting sweetness. There's a slight vegetal note in the wet leaves, but not in the cup. Flavor-wise, depending on your method of preparation you'll enjoy a sweet hay note, and even some floral notes that emerge on later resteeps. 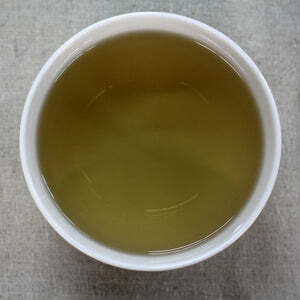 You'll savor the creamy mouthfeel of this tea, which makes it feel very rich but not heavy on the palate. We have very limited quantities of this tea, so once it's sold out we won't be able to bring it back. Mug (8oz water):3 overflowing tsp • 180º • Steep for 2 min. Teapot: (8oz water): 3 overflowing tsp • 180º • Steep for 1 min. Resteep: 2 times for 1 min, then 2 times for 2 min.